In reality, these common measurements can be described collectively as a severity-based algorithm. In other words, we are defining a bunion deformity as a continuum of separate deformities, and we treat each individual case as unique. Ultimately, this approach results in a multitude of procedural options for each patient and deformity, depending on surgeon experience and opinion.2 In fact, there is rarely agreement between surgeons regarding the best procedure for each patient, making the evaluation and management of bunions highly subjective. If one strictly applies the tenets of evidence-based medicine and reduction of clinical variability to bunion surgery, we could interpret the application of a wide variety of procedures or combinations of procedures to a singular deformity to be poorly reliable. Although broadly accepted, this multiprocedural approach based on severity algorithms overlooks the most important component of any deformity, including the bunion, which is the primary level of the deformity. 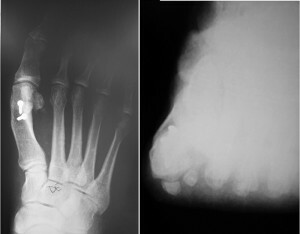 The metatarsal in a bunion is not deformed; rather, the structure of the forefoot deviates from normal anatomy in multiple planes at the level of the first tarsometatarsal joint.3-7 The traditional approach to surgery does not always correct this primary deformity; instead, metatarsal osteotomies create a new deformity in the metatarsal itself. Inclusion of frontal plane derotation as part of hallux valgus correction provides a powerful tool for the surgeon to more accurately correct this complex deformity. The basic mechanics of metatarsal osteotomies are similar despite differences in the shape of the bone cuts for different techniques. It is important to realize that the correction provided by these osteotomies is largely limited to the transverse plane regardless of the geometry of the cut, the fixation selected, or the associated soft tissue balancing. Surgeons easily recognize the transverse plane component of the deformity (IMA), and this parameter typically receives the highest priority in preoperative decision-making. We talk to a lesser degree about the sagittal plane.2 Historically, very little attention has been paid to metatarsal frontal plane position when operatively addressing hallux valgus. We have found that the frontal plane rotation of the first metatarsal has a profound effect on the basic anatomy of the deformity, and that inclusion of frontal plane derotation as part of the corrective procedure provides a powerful tool for the surgeon to more accurately correct this complex deformity. Examination of the literature reveals the clear and consistent presence of metatarsal frontal plane rotation associated with a bunion deformity, which was first recognized in 1956 by Mizuno.8 Literature on the topic uses various terminologies to describe the same frontal plane position, which has created confusion in the discussion of the problem. Unless one is aware that eversion, valgus, and pronation can be used synonymously in reference to the frontal plane position of the first metatarsal, there can be a tendency to overlook some of the work that has been performed regarding metatarsal pronation in a bunion. This discrepancy in terminology was addressed in 2014 in a paper by Dayton et al.9 In this article, the term pronation will be used to describe the frontal plane rotational position of the first metatarsal in the context of a bunion deformity (Figure 1). Figure 1. Metatarsal rotational position is described using various terms. Pronation, eversion, valgus, and external rotation are used equivalently when describing the rotational position of the first metatarsal in a foot with hallux valgus. 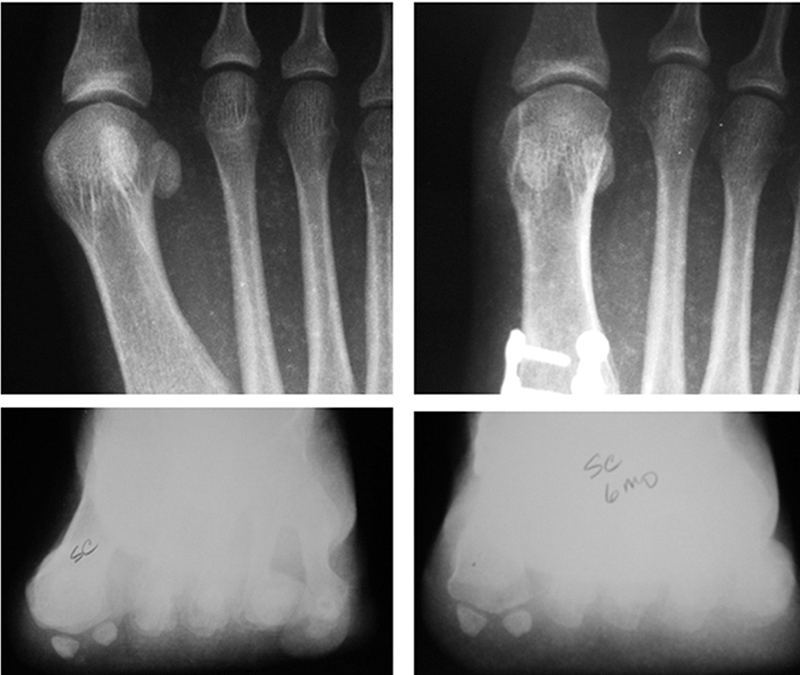 In 1980, Scranton and Rutkowski10 used sesamoid axial radiographs to observe the position of the metatarsal in both a control group and a group with bunion deformities. Their study found that feet with bunions had a mean of 14.5° of metatarsal pronation, while normal feet had a mean of 3.1° of metatarsal pronation. They concluded that three structural deformities present in a bunion must be corrected: the abducted hallux, the adducted metatarsal, and the pronated metatarsal. Mortier et al11 in 2012 also used sesamoid axial radiographs to observe a mean of 12.7° of metatarsal pronation in feet with a bunion deformity. They concluded this rotation was due to metatarsal cuneiform instability rather than torsion of the metatarsal shaft, and that valgus metatarsal rotation in bunion deformities is systematically associated with sesamoid rotation. Grode and McCarthy12 took a similar view of the foot, using cryo­microtomy rather than radiographs. Their observations include the fact that, in a bunion, the position of the medial eminence or bump actually represents the dorsomedial surface of the head of the first metatarsal, which is “brought into prominence by rotation through eversion.” The frontal plane microsections confirmed a pronated metatarsal head. Eustace et al13 devised a way to measure pronation of the first metatarsal based on the observation of the location of the inferior proximal tuberosity of the first metatarsal base. They found that the degree of first metatarsal pronation is linearly related to the amount of medial deviation of the first metatarsal, and concluded that derotational surgical procedures should be further explored. Mizuno8 not only observed the pronated position of both the hallux and the metatarsal, he also proposed a derotational osteotomy of the first metatarsal, termed a “detorsional osteotomy” in his paper. Reports of rotational correction in the literature are sparse, though the idea has received recent attention. Figure 2. Observations of the metatarsal that help identify rotational position on AP radiograph include the lateral round sign of the first metatarsal head, the tibial sesamoid position, prominence of the medial eminence, lateral curvature of the metatarsal shaft, and lateral translocation of the proximal inferior first metatarsal tubercle. 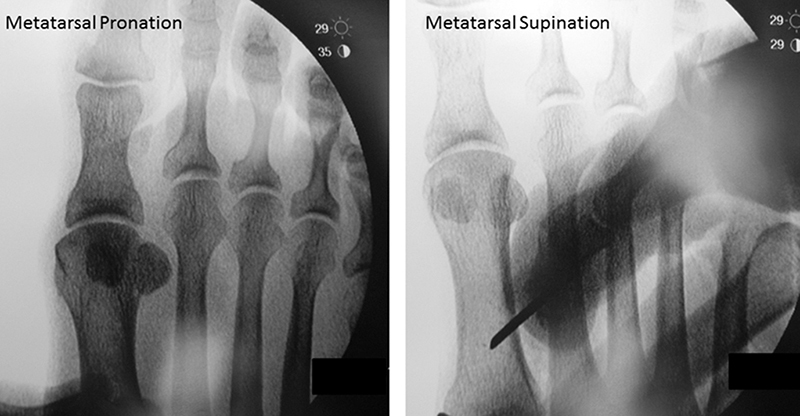 In 2013, Okuda et al15 described a proximal abduction supination osteotomy of the first metatarsal. They found that correction of metatarsal pronation produced a significant effect on the distal joint, including the HAA and the TSP. In 2014, DiDomenico16 described his procedural approach to multiplanar bunion correction, using the hallux to drive derotation of the pronated metatarsal via ligamentotaxis. As the hallux is supinated, the extensive ligamentous attachments between the proximal phalanx and the metatarsal head cause the metatarsal to move in a supinatory direction as well. This in turn aligns the metatarsophalangeal joint, reducing the HAA, PASA, and TSP. Metatarsal rotation cannot be seen clinically; radiographic assessment of rotational position, however, can be made using both AP views and axial views of the sesamoids. Aspects of the AP radiograph that can be used to qualify rotational position include the lateral round sign of the first metatarsal head,15 the TSP,15,17,18 PASA14 (Figure 2), prominence of the medial eminence,12 lateral curvature of the metatarsal shaft,19 and lateral translocation of the proximal inferior first metatarsal tubercle.13 Sesamoid axial images were the basis for quantifying pronation used by Scranton10 and Mortier.11 Although the techniques vary in terms of method of foot positioning and metatarsal rotational measurement, metatarsal pronation can clearly be observed with either option. Comparison of preoperative and postoperative AP and axial radiographs following derotational first tarsometatarsal joint arthrodesis are provided to illustrate observations of rotation (Figure 3). Figure 3. The image on the left is a preoperative AP radiograph. The image on the right is a six-month postoperative AP radiograph. Note the observable signs of rotational position at the first metatarsophalangeal joint, including the lateral roundness of the metatarsal head, the tibial sesamoid position, the prominence of the medial eminence, the lateral curvature of the metatarsal shaft, and the abduction of the hallux. The corresponding sesamoid axial images are provided where clear alteration in rotational position is observed. Dayton et al17 performed a cadaveric study in which the first tarsometatarsal joint was freed and the metatarsal was positioned in various degrees of pronation and supination. With pronation of the metatarsal, there was the appearance of lateral displacement of the sesamoids on the AP radiographs. With supination, the apparent sesamoid displacement was corrected. The metatarsal did not move off of the sesamoid apparatus; rather, rotation altered what was observed on the AP radiographs. Although there is a component of AP sesamoid position that involves the transverse plane, with erosion of the crista and actual subluxation of the sesamoids that does occur,11 by and large the appearance of displacement that one observes on AP radiographs is due to metatarsal pronation. The 2D radiographic findings are based on a 3D deformity, which includes frontal plane rotation. 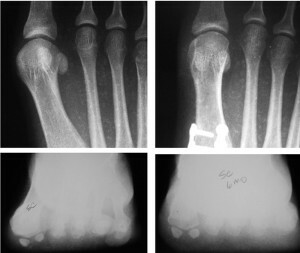 Common and popular metatarsal osteotomy procedures do not address the primary level of the deformity, nor do they address the deformity in all three planes (Figure 4). 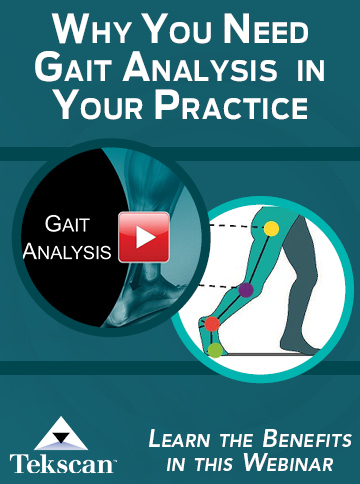 Instead these popular procedures focus correction on a nondeformed metatarsal with the singular objective of correcting the transverse plane component of the deformity by reducing the IMA. Shaft osteotomies, regardless of their distal-to-proximal location, actually create a new deformity in the previously straight but deviated metatarsal. This is because these osteotomies are performed at sites away from the center of rotation of angulation (CORA). The CORA, as described by Paley,22 is identified by the intersection of the distal anatomic axis and the proximal anatomic axis of a deformity. Despite a growing body of research confirming the existence of three distinct planar components of a bunion deformity, for many surgeons the priority is still focused on transverse plane correction through metatarsal osteotomy, typically followed by additional bone and soft tissue procedures at the MTPJ. 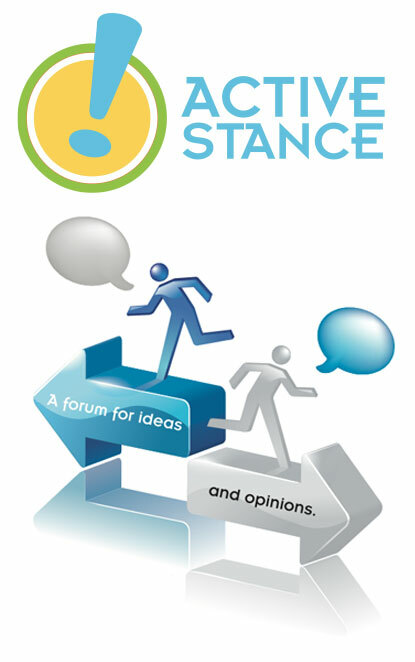 In fact, the paradigm of metatarsal osteotomy and soft tissue balancing is so commonplace that any argument for a fundamental change to the approach becomes uncomfortable and seems unwarranted to most foot and ankle surgeons. Figure 4. Commonly used metatarsal osteotomy procedures do not address the primary level of the deformity, nor do they address the deformity in all three planes. This figure highlights the retained pronated position of the metatarsal and high residual IMA following a distal metatarsal osteotomy. In reality, frontal plane rotation, transverse plane deviation, and sagittal plane deviation of the first metatarsal act in concert to produce the anatomic structure of the bunion deformity. Each component may be present to a different degree in different deformities, but all must be considered in each case. We believe that improved outcomes in bunion surgery will require a fundamental change in our thought process, away from multiple procedures in the metatarsal to a paradigm that defines the basic anatomy of the deformity rather than a continuum of severity, and one that focuses correction at the true deformity or CORA. The surgeon must be aware of the rotational position of the metatarsal and understand how to assess anatomic alignment intraoperatively (Figure 5). Without the knowledge of both the rotational position and how to assess this position, complete deformity correction is not consistently attainable. Based on published research and our experience, we propose this new paradigm for the management of the bunion deformity, which includes derotation of the first metatarsal. We believe this approach has the potential to improve the surgeon’s ability to fully correct the deformity, as well as the potential to decrease deformity recurrence. Pentikainen23 in 2014 presented a review of bunion procedures and noted a 73% incidence of radiographic recurrence at a mean follow-up of 7.9 years. Okuda et al8 suggest that inadequate rotational correction plays a role in hallux valgus recurrence and that recurrence is correlated with incomplete reduction of the lateral round sign of the metatarsal head and the sesamoid position. Since investigations have shown both of these variables are products of rotational position, this suggests that incomplete reduction of rotational position is itself a risk factor for bunion recurrence. Corrections of the pronated position of the metatarsal with osteotomies or arthrodesis that impart frontal plane mobility allow the surgeon ultimate flexibility in obtaining complete and consistent deformity correction. Figure 5. Intraoperative assessment of rotation using a K-wire inserted into the metatarsal shaft to act as a toggle for manipulation. When the metatarsal is pronated, one can observe changes at the MTPJ, including an increase in the sesamoid position, hallux abductus angle, distal metatarsal articulation angle, and prominence of the medial eminence. With supination, these measures are normalized. The fact that more than 100 corrective options have been studied and recommended for hallux valgus, as well as hundreds more options for procedure combinations, can be considered a sign of a deficiency in the conventional thought process and approach to hallux valgus correction. 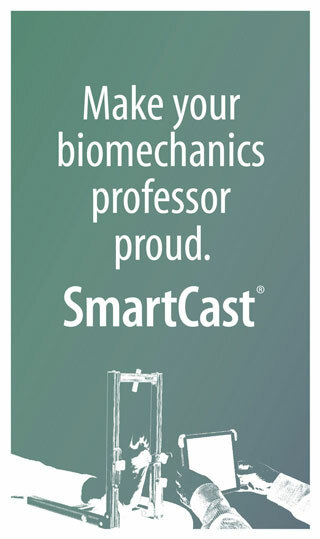 We believe successive or repeated minor modifications of metatarsal osteotomy surgical techniques do not represent innovation. Instead, our current multiprocedural mindset can be interpreted as a failure of the basic treatment paradigm. Innovation requires a fundamental change in the thought process and approach to solving a problem. We believe triplane correction at the primary level of the deformity, along with rejection of previously established assessment and operative norms, are integral to future hallux valgus assessment and management. Paul Dayton, DPM, MS, FACFAS, is an assistant professor in the College of Podiatric Medicine and Surgery at Des Moines University in Iowa. Merrell Kauwe, DPM, is a podiatric surgical resident at UnityPoint Health, Trinity Regional Medical Center, in Fort Dodge, IA. Hardy RH, Clapham JCR. Observations on hallux valgus. J Bone Joint Surg 1951;33(3):376-391. Gerbert J, ed. Textbook of Bunion Surgery. WB Saunders, New York, 2001. Truslow W. Metatarsaus primus varus or hallux valgus. J Bone Joint Surg Am 1925;7(1):98-108. 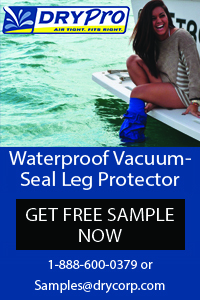 Lapidus P. A quarter century experience with the operation. Bull Hosp Joint Dis 1956;17:404-421. Tanaka Y, Takakura Y, Kumai T, et al. Radiographic analysis of hallux valgus: a two dimensional coordinate system. J Bone Joint Surg 1995;77(2):205-213. Morton DJ. Metatarsus atavicus: the identification of a distinctive type of foot disorder. J Bone Joint Surg 1927;9(3):531-544. Mashima N, Yamamoto H, Tsuboi I, et al. Correction of hallux valgus deformity using the center of rotation of angulation method. J Orth Sci 2009;14(4):377-384. Mizuno S, Sima Y, Yamaxaki K. Detorsion osteotomy of the first metatarsal bone in hallux valgus. J Jpn Orthop Assoc 1956;30:813-819. Dayton P, Kauwe M, Feilmeier M. Clarification of the anatomic definition of the bunion deformity. J Foot Ankle Surg 2014;53(2):160-163. Scranton PE Jr, Rutkowski R. Anatomic variations in the first ray- part 1: anatomic aspects related to bunion surgery. Clin Orthop Relat Res 1980;(151):244-255. Mortier JP, Bernard JL, Maestro M. Axial rotation of the first metatarsal head in a normal population and hallux valgus patients. Orthop Traumatol Surg Res 2012;98(6):677-683. Grode SE, McCarthy DJ. The anatomic implications of hallux abducto valgus: a cryomicrotomic study. J Am Podiatr Med Assoc 1980;70(11):539-551. Eustace S, Obyrne J, Stack J, Stephens MM. Radiographic features that enable the assessment of first metatarsal rotation: the role of pronation in hallux valgus. Skeletal Radiol 1993;22(3):153-156. Dayton P, Feilmeier M, Kauwe M, Hirschi J. Relationship of frontal plane rotation of first metatarsal to proximal articular set angle and hallux alignment in patients undergoing tarsal metatarsal arthrodesis for hallux abducto valgus: a case series and critical review of the literature. J Foot Ankle Surg 2013;52(3):348-354. Okuda R, Yasuda T, Jotoku T, Shima H. Proximal abduction-supination osteotomy of the first metatarsal for adolescent hallux valgus: a preliminary report. J Orthop Sci 2013;18(3):419-425. DiDomenico LA, Fahim R, Rollandini J, Thomas ZM. Correction of frontal plane rotation of sesamoid apparatus during lapidus procedure: a novel approach. J Foot Ankle Surg 2014;53(2):248-251. Dayton P, Feilmeier M, Hirschi J, et al. Observed changes in radiographic measurements of the first ray after frontal plane rotation of the first metatarsal in a cadaveric foot model. J Foot Ankle Surg 2014;53(3):274-278. Dayton P, Feilmeier M, Kauwe M, et al. Observed changes in radiographic measurements of the first ray after frontal and transverse plane rotation of the hallux: does the hallux drive the metatarsal in a bunion deformity? J Foot Ankle Surg 2014;53(5):584-587. D’Amico JC, Schuster RO. Motion of the first ray: clarification through investigation. J Am Podiatr Med Assoc 1979;69(1):17-23. Talbot KD, Saltzman CL. Assessing sesamoid subluxation: how good is the AP radiograph? Foot Ankle Int 1998;19(8):547-554. Boberg JS, Judge MS. Follow-up of the isolated medial approach to hallux abducto valgus correction without interspace release. J Am Podiatr Med Assoc 2002;92(10):555-562. Paley D, Herzenberg JE, eds. Principles of Deformity Correction. Springer-Velag, Berlin, 2005. Pentikainen I, Ojala R, Ohtonen P, et al. Preoperative radiological factors correlated to long-term recurrence of hallux valgus following distal chevron osteotomy. Foot Ankle Int 2014;35(12):1262-1267. I loved this article and agree that correction has to be triplanar. Without getting too crazy with what came first, “the chicken or egg”, I have found that we need to look proximally as well, at subtalar, tibial, and hip mobility. If the bunion is corrected surgically this way but these other potential biomechanical abnormalities are not addressed, will the bunion re-occur?